Acushnet was formed in 1910 and its principle market involved supplying latex and rubber to industry. Over time, the company diversified and began making its own latex and rubber products, such as swimming caps and water bottles. In 1932, the company first began producing its own range of balls. Philip E. Young, an MIT graduate and keen golfer, realised that the balls he was using were not producing uniform spin and movement. He took X-Rays of the ball and found their centre’s were often misaligned. Young realised that by ensuring a uniform ball, with a perfectly centred core, he would develop a better golf ball. Young developed a machine at Acushnet which could spin thin rubber thread around a rubber core, which produced a ball that was more balanced, behaved more predictably and flew straighter and longer. The initial concept was labelled “Dead Center” and the ball became known simply as Titleist. World War II then intervened as Acushnet then focused its work on wartime efforts, but following the cessation of hostilities, the company picked up its projects from before the war and began to work at improving the ball. For many years, the wound core ball was honed and improved, by coating it with different materials, different numbers of dimples and such like. 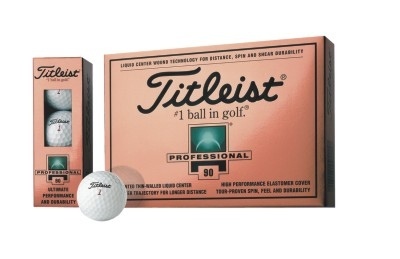 However the next big breakthrough from Titleist (and arguably the reason they are the number 1 company in golf balls today) came in the 1980s. By then other golf ball companies were producing balls equally as effective than the Titleist brand, so the company developed a new ball. The Balata. These balls were exceptionally soft and offered top players incredible control around the greens, however they were also relatively expensive, had a tendency to split when not hit correctly and also their condition deteriorated quickly when used. 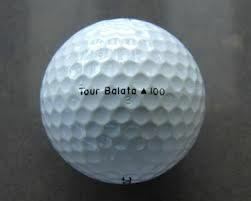 The Balata ball however revolutionised golf, players loved the new control but it was not cost effective to have to use a new ball on almost every hole. As such the “Professional” was developed, which offered the same control and feel of a Balata ball, but with a more durable cover. By now, other companies were using new technology to introduce a range of top quality balls and at the start of the new millennium Titleist introduced their ace-card. The Pro V series of balls. These balls offered the superb control and feel of Balata, combined with distance off the tee and they were far more durable and less prone to splitting and scuffing. The Pro V1 was first available to professionals in October 2000 and Billy Andrade won that tournament in Las Vegas using the new ball. The golf balls were a new design and construction and one that lifted the company way ahead of the field. 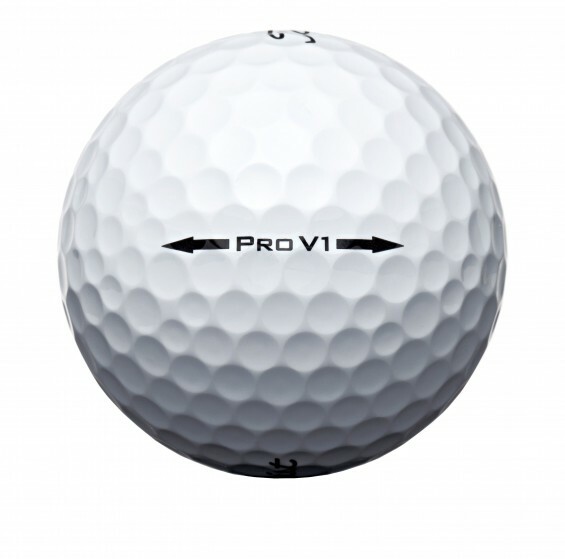 Within a few months of release, the Pro V1 was the most played ball on the PGA Tour. A position it has held ever since. 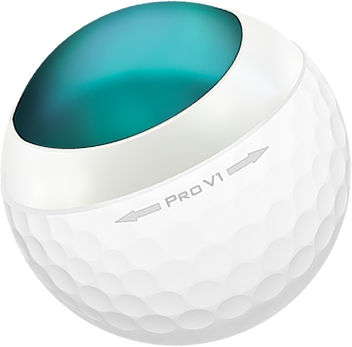 In 2003, the Pro V1x was released, which was essentially the same ball, but just with 60 fewer dimples, a larger core and thinner cover. This meant that compared to the Pro V1, the Pro V1x reduced spin, increased distance but retained the same soft feel of the Pro V1. Titleist now produce a range of different balls to suit the budgets of all players from its top of the range Pro V1 and V1x balls, to the NXT Tour, Tour S and Tour S Yellow, DL SoLo and SoLo Yellow and Velocity balls. In addition, the company also began producing its own golf clubs and they have earned an excellent reputation with players. Titleist staff players include Steve Stricker, Jason Dufner, Zach Johnson, Adam Scott, Matteo Mannassero and Jose Maria Olazabal. As well as the above golfers who use Titleist clubs and balls, the following also endorse the Pro V1 and V1x balls and use them on tour: Luke Donald, Lee Westwood, Bubba Watson, Angel Cabrera, Mike Weir, K.J.Choi, Rickie Fowler, Padraig Harrington, Louis Oosthuizen, Ian Poulter, Hunter Mahan and Robert Karlsson. I just want to say how much I enjoy this information. You put a nice twist to it. Congratulations again on a good job Tommy. Nice article! Great post about My idea for Farkcon ’14. A rippin’ and a tearin’ trip to Hedonism II. DIT [Cool]! You efforts putting this blog together was worth the while. Heather have you seen L'amour Fou? Every inch of YSL and his partner's homes were divine. So much attention to detail, so many memories. It's a very moving documentary-Run Don't Walk.Love the blog as always. Wow! These are amazing photos Jen! I absolutely love the second to last one. I almost want to frame that one and I don’t even know the sweet little model:) Once, again, you have outdone yourself. Need to get a date on our calendars for my family shoot. Awesome article on awesome balls! Warum machen sieï»¿ so etwas ? Marketing fÃ¼r das eigene Buch kann man auch besser, vor allem “angepasst” gestalten. Ihr Niveau kommt einem Vertriebsmitarbeiter einer Kaffeefahrt gleich !!! Contrary to popular belief Titleist did not discover Balata or engineer a revolutionary product in the 1980’s. Various tree and bush saps have been used for ball covers dating back to the 1870’s. Gutta percha was the breakthrough in the 1870’s although rubber was long since discovered. It wasn’t until various vulcanization experiments led to a more durable year round ball that ball covers went to rubber after WWI. The world supply of gutta percha material was exhausted by WWI and alternatives were necessary (due to it’s use in transatlantic undersea telephone cable coverings). Spalding had experimented with a balata (mystery) cover in 1899 and had experimented with it 80 years before Titleist (RE)introduced the balata ball in the 1980’s. Various white latex milky saps can be extracted and cured for use as ball covers – however NONE are durable. Synthetics have retired the tree and bush sap ball covers for good.